Under a veil of secrecy, the Soviet Space Shuttle “Buran” launched on her maiden mission 25 years ago. It was to be her only flight in space, with the program mothballed in 1993, following the dissolution of the USSR. 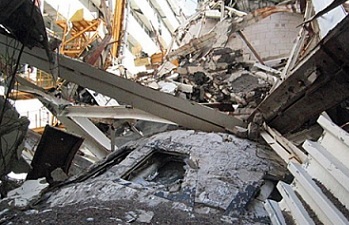 She was destroyed during the collapse of her hanger roof at the Baikonur Cosmodrome in 2002. Developed by Gleb Lozino-Lozinskiy, Chief Designer at NPO Molniya, Buran was designed to be a direct competitor to the US Space Shuttle. The Soviets believed the US Shuttle had a key role in America’s military ambitions and feared the system could even be used to deploy nuclear payloads over Soviet territory. As such, Buran was focused as becoming a military asset, which also resulted in the program becoming classified. Aligned with the public knowledge of the US Shuttle’s development program, RKK Energia managed the Buran response from 1974, under the Reusable Space System (MKS) program. 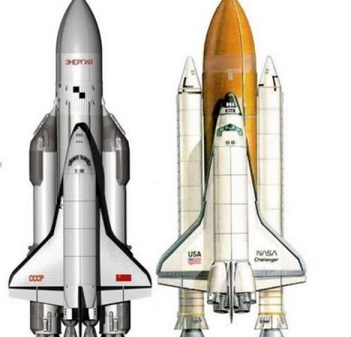 With Soviet engineers tasked with creating a competitor to the US Shuttle, the basis for Buran resulted in mirroring both the capabilities and design of the US Shuttle, resulting in the two orbiters having a very similar appearance. However, there were major departure points, not least on the propulsion side. Lagging behind the United States in their design of large Solid Rocket motors, an early decision was made to utilize liquid propulsion to power the stack off the launch pad. However, the Soviet decision to place the main engines on the external tank, as opposed to the orbiter, also stemmed from lack of Soviet experience with LOX/LH2. The Soviets had only built experimental engines, as opposed to the American who had built and operated RL-10 and J-2. When faced with the requirement to make a 200mt thrust LOX/LH2 engine, in tandem with reusability, the Soviets decided to ditch the reusable requirement. The immense power of the Energia provided a capacity to place about 100 tonnes in Low Earth Orbit (LEO), up to 20 t to the geostationary orbit (GEO) and up to 32 t to a translunar trajectory. Unlike the US Shuttle, the orbiter did not require the three main engines that assisted the American orbiter on her ride uphill. Instead, Buran hitched the ride to space on the side of the Energia, only using her own two engines – the equivalent of the shuttle’s Orbital Maneuvering System (OMS) using GOX/Kerosene propellant – for a 66.7 m/s burn to reach a final the orbit of 251 km x 263 km. The test program for Buran ranged over several years, involving scaled models, wind tunnel testing and other elements that matched the US Shuttle’s development. Also mirroring the American program, construction – which began in 1980 – first involved a full-scale Buran being completed in 1984. Known as the OK-GLI (Buran Analog BST-02), this vehicle was the Soviet version of Shuttle Enterprise, tasked with in-flight testing, as seen via Enterprise’s Approach Landing Tests (ALTs) in the 1970s. However, unlike her Western cousin, OK-GLI had four AL-31 turbofan engines fitted, allowing her to fly under her own power during the test program. The test program with OK-GLI involved a huge amount of testing in the air, ranging from November, 1984 – all the way through to April, 1988. 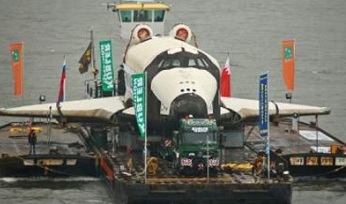 OK-GLI’s history was not lost – unlike a lot of the Buran program – after she was salvaged and shipped to her retirement home at the Technikmuseum Speyer in Germany. Ironically, she was originally sold to an Australian company for display at the 2000 Sydney Olympics. After that company went bankrupt the model was later found rusting in a middle eastern desert. A group of German tourists found her and fought many legal battles to gain custody of the vehicle to send her to Germany. (Click here for L2 Photos of her salvage). Ahead of the first launch, elements of the Buran had to be transported as part assembled, based around the mass capabilities of the 3M-T transport plane. This resulted in the slightly amusing sight of large Buran elements riding atop of the slender looking 3M-T. Final assembly was completed at the MIK-OK at Baikonur. Later, the Antonov An-225 would be outfitted to carry the orbiters, similar to the transport of the US Shuttles by the Shuttle Carrier Aircraft (SCA). After several years of delays and technical meetings, preparations for the launch of the first Buran began, with processing inside the MIK 112 building – again mirroring the history of the NASA program. The Vehicle Assembly Building (VAB) at the Kennedy Space Center was originally used to process the Saturn V rocket, prior to integration and mating flows for the Shuttle, while the MIK 112 Building was originally built for the Soviet Moon program, housing the huge N1 rocket. However, once again there was a major difference in the way the US and Soviet shuttles were processed through mating, with the Buran horizontally mated atop of the Energia, as opposed to the vertical processing utilized for the American stack. 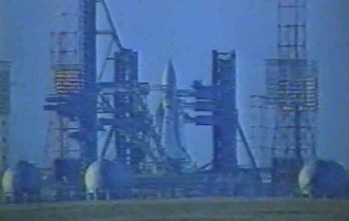 Buran – also known as “Snowstorm” in English – was rolled out to the launch pad on October 23, 1988. 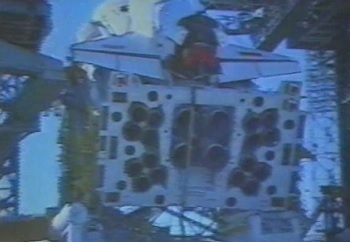 However, the first launch attempt – nine days after rollout – was scrubbed less than one minute prior to liftoff due to a computer fault. With the problem fixed and a new launch date set, poor weather during the countdown threatened another scrub. 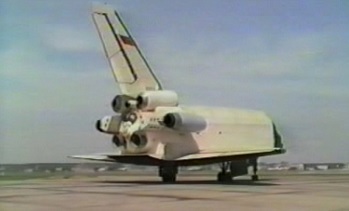 However, managers pressed towards the debut launch of the Buran. Liftoff occurred at 6am local time on November 15, with the stack disappearing into low clouds just seconds after launch. The uncrewed Buran successfully launched on what was a short mission in space, entering a 251 km x 263 km orbit of the planet, prior to conducting the deborbit burn 140 minutes into the mission. Surviving re-entry, Buran was greeted by a MiG-25 chase plane during her return to the launch site, with Buran touching down at 260 km/hr in a 17 m/s crosswind at the Jubilee runway, with a 1620 meter rollout. Her first adventure in space did result in damage that would require a large amount of repairs during post flight processing. However, her fate was sealed at the political level, as the Soviet Union began to collapse. The transition of the Soviet Union also sealed the fate of the other Buran orbiters, four sisters that were in various stages of production at the time of the first mission in space. The Buran family was to consist of the OK-1K2 “Ptichka”, which was 95-97 percent complete before the end of the program, followed by the OK-2K1 “Baikal”, which was classed as between 30-50 percent complete. Shuttle 2.02 and Shuttle 2.03 would have brought the fleet up to five vehicles. The program was officially mothballed in 1993 by President Boris Yeltsin. 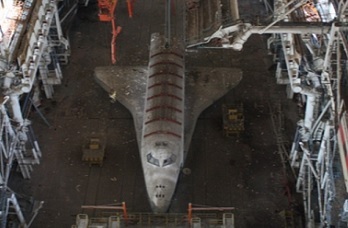 Long after the end of the Buran program came the biggest disaster, when on 12 May, 2002 the hangar housing Buran collapsed during a huge storm in Kazakhstan. The collapse killed eight workers who were carrying out maintenance on the roof of the building, and resulted in the destruction of Buran, which had been sat on top of an Energia mock up. 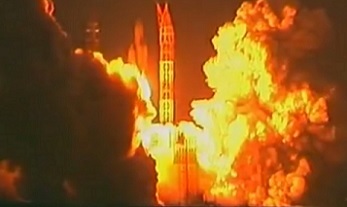 The dilapidated building can still be seen in views during launch coverage of other vehicles launching into space from the Baikonur cosmodrome. The remaining vehicles that were set to fly into space are in various locations and various conditions. OK-1K2 “Ptichka” or “Little Bird” – which was set to fly in 1991 – is currently the property of Kazakhstan, left to collect dust inside the the MIK building at the Baikonur Cosmodrome. 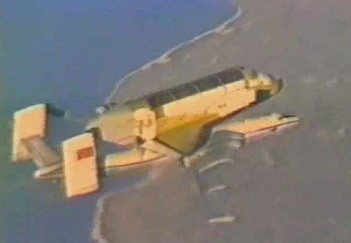 OK-2K1 “Baikal” was set to fly as a crewed vehicle in 1994. This vehicle had been unceremoniously left in a car park in Moscow, near Khimki Reservoir. She remained there until mid 2011, when she was barged to the MAKS 2011 international air show. She now resides in Ramenskoye. Numerous test vehicles and mock ups still exist, mainly located around Russia – such as the OK-TVA static test vehicle, which remains located in Gorky Park, Moscow.